Dehradun (Uttarakhand) [India], April 5 (ANI): Alleging that Congress and corruption have an “unbreakable” relationship, Prime Minister Narendra Modi on Friday cited media reports to suggest that the names of Gandhi "family" and senior Congress leader Ahmed Patel had emerged in the AgustaWestland chopper deal scam in the context of kickbacks. During his speech he referred to the deportation to India from UAE of Christian Michel, a British national who is an alleged middleman in the Rs 3600 crore chopper deal for procurement of 12 VVIP choppers from AgustaWestland company. "You may remember that your 'chowkidar' has brought back chopper scam accused from Dubai. The Michel ‘mama’ (referring to Christian Michel) and other middlemen were questioned by the agencies over several weeks. Based on which a charge sheet has been filed in the court,” Modi said. He went on to add, “I saw in the media that one of the people who had asked for the kickbacks in the chopper scam is ‘AP’ and the other is ‘FAM’. The same charge sheet states that ‘AP’ means Ahmed Patel and ‘FAM’ means family. Now, you tell me which family Ahmed Patel is close to?" 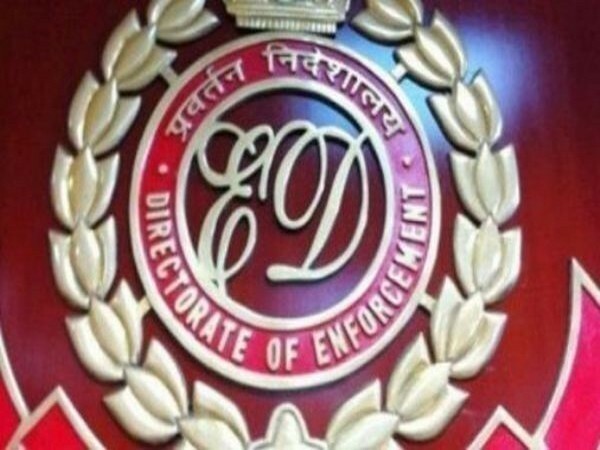 The charge sheet was filed by the Enforcement Directorate in a court in Delhi on Thursday. "The relationship between the Congress and corruption is unbreakable. They cannot be separated. The Congress needs corruption and corruption needs Congress,” the Prime Minister alleged. “The Congress every time sets new records in corruption. The identity of Congress is that during its rule, corruption kept accelerating and ‘vikas’ (development) was on ventilator," he charged. "They (Congress) did not even spare our soldiers. 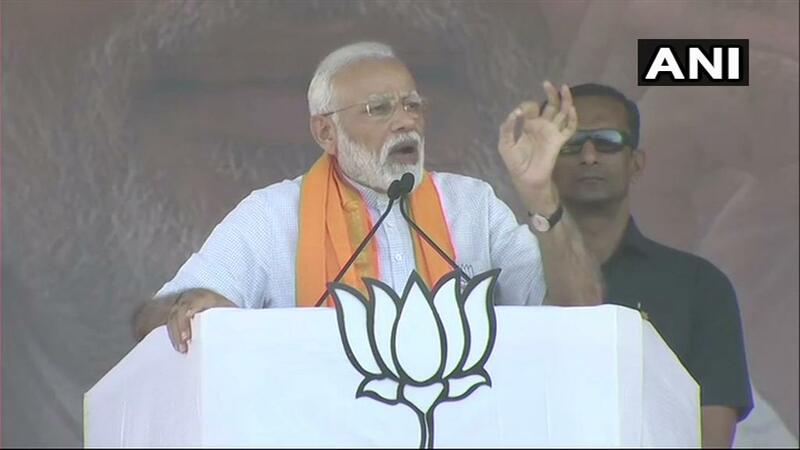 Be it Bofors gun or helicopter, it's difficult to find any weapon deal today in which there are no reports of commission taken by the Congress,” Modi alleged. Referring to the ‘One Rank, One Pension’ (OROP) scheme, he said it was pending for 40 years before the NDA government came and implemented it. "We resolved the ‘One Rank, One Pension’ matter which was pending for past 40 years. Those who always focused on seeking votes and collecting money, always kept the matter on hold," Modi said. He dubbed Congress’ Lok Sabha manifesto as "dhakosla patra" (fraud document) and said once you read it, “you realise with whom the Congress' hand is. 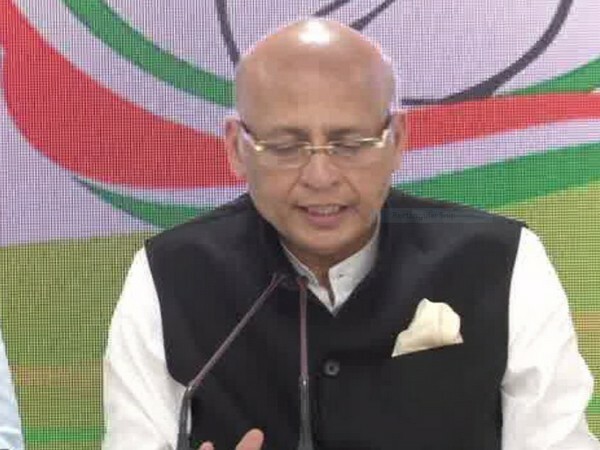 Pakistan and the 'tukde tukde gang' were the ones who were very happy with the Congress manifesto." 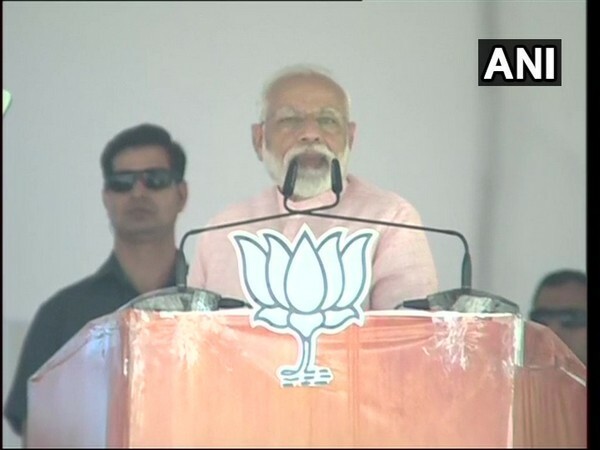 The Prime Minister also slammed National Conference (NC) leader Omar Abdullah for pitching for revival of the post of a separate Prime Minister for Jammu and Kashmir and targeted its ally Congress over it. Praising tax payers, Modi said, "Crores of poor families get cheaper ration because of the honest taxpayers. Be it the all-weather road linking Chardham, or the renovation of the Holy Land of Baba Kedar, or the construction of Rishikesh Karnprayag rail line, all such things are happening due to honest taxpayers."